Here is a New Tab about the famous football player – Vinicius Jr.
Born in Sao Goncalo suburb of Rio de Janeiro, on 12 July 2000, Vinicius Jose Paixao de Oliveira Junior was spotted aged 10 by Flamengo, and at the age of 13, he was playing for the Under-15. In 2015, he scored six goals as Brazil won the South American U15 Championship in Colombia. In 2017 he scored seven goals as Brazil won the South American U17 tournament for a record 12th time. Vinicius was named as the best player at the championship. Flamengo signed him to a professional contract when he turned 16, just before he starred for Brazil U17s. That deal included a 30 million euro buyout clause, which was increased to 45m euros when he renewed his contract. That renewal came just a few days after he made his professional debut as a late substitute in a 1-1 draw with Atletico Mineiro at the Maracana. 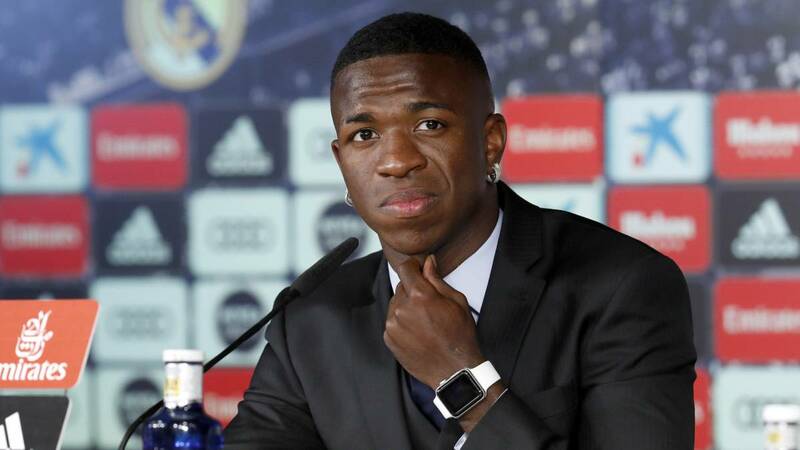 On 23 May 2017, Spanish club Real Madrid signed a contract to acquire Vinicius, effective after his 18th birthday on 12 July 2018. He transferred for a reported fee of €46 million, which was at the time, the second most expensive sale of a player the history of Brazilian football, the largest amount received by a Brazilian club for a transfer, and the highest amount ever paid by a club for a footballer under the age of 19. “I want to thank Ronaldo for being here. He’s someone I’ve always followed and it’s incredible to be by his side. I’ll give much success to Madrid,” said Vinicius in an interview for the press. For his style of playing, he said that his is most similar to that of Neymar. We have high expectations for this young star and we wish him all the best. For all fans of football and this football star, we hope you will enjoy your browsing experience. Feel free to share with friends.